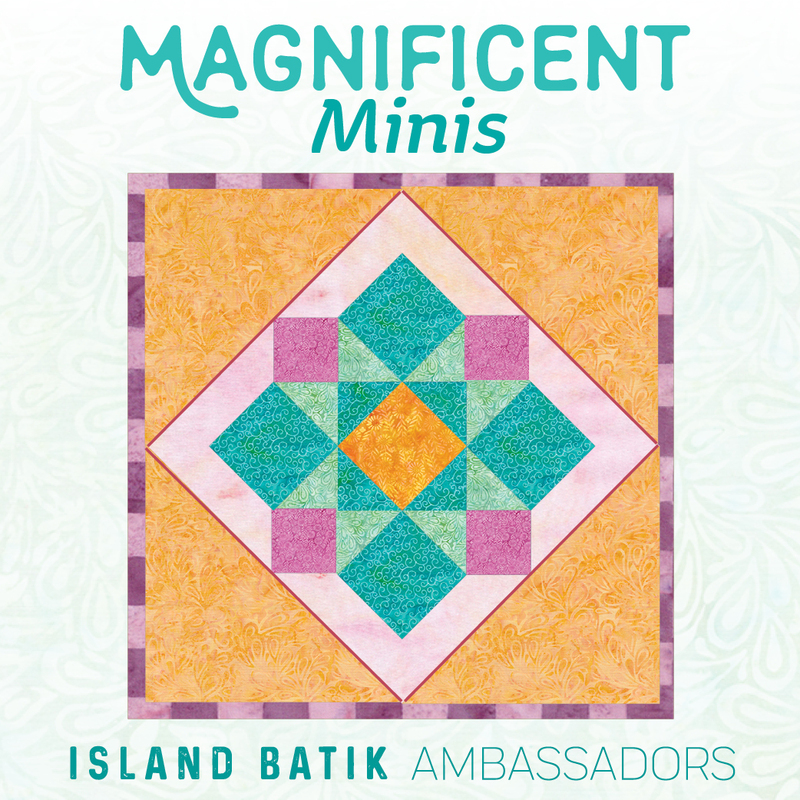 This month, our Island Batik Ambassador theme is mini quilts! We were tasked with making mini quilts less than 24" square, and I knew just what I wanted to make! You might remember my Stars at Play quilt that I made last summer as an IB Ambassador project. 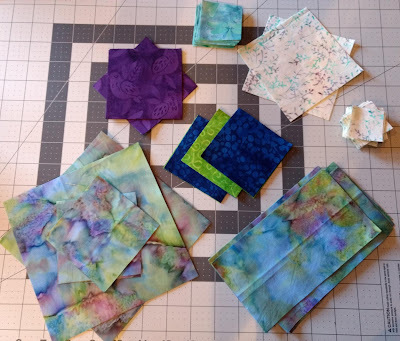 Amanda and I have been working on getting this pattern finished and I decided to make my own version of the mini quilt for this pattern using my new IB fabrics. The "peacock" fabric on the bottom (yes, that's its actual catalog name!) 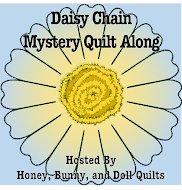 is my main fabric for this mini quilt and the cream print will be the "background" fabric. 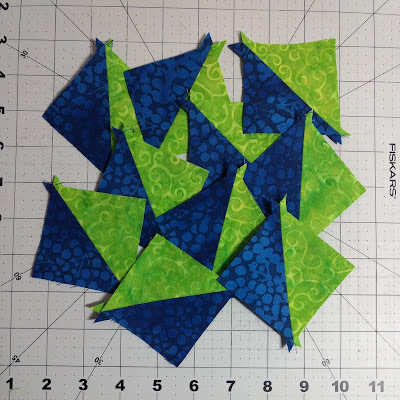 The rest of the assorted fabrics will be used to construct my Missouri Star blocks. I pulled out the lime green and don't plan to use it at all; I pulled out the green on the left side to use as the binding. 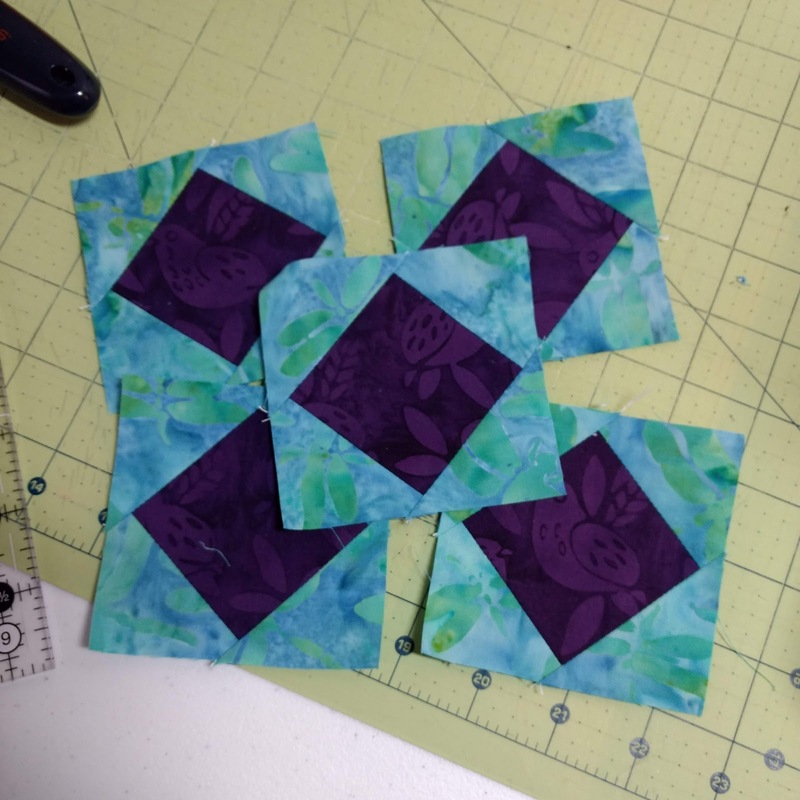 I've started working on the block units for the Missouri Star blocks -- these are much smaller than my first go-round with this pattern! Hopefully next week I will have some finished blocks to show you! 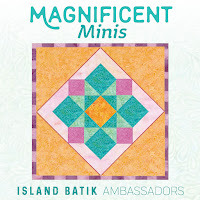 Don't forget to enter to win some Island Batik fabrics for yourself in my post from Wednesday! What a bright and fun grouping for the mini quilt. I look forward to seeing how it finishes! I will be watching. 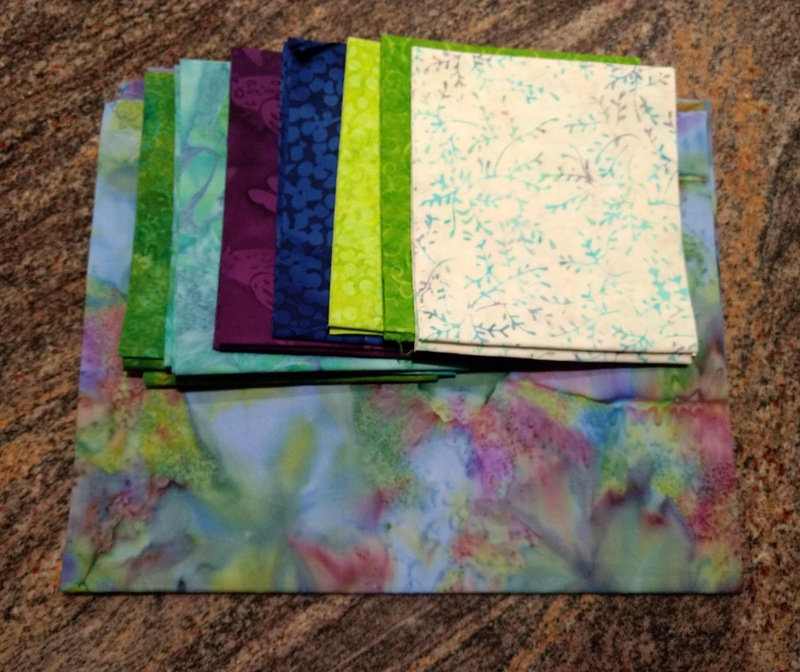 I want to see what you do with those HSTs and all of that lovely fabric. Looks beautiful and minis are always fun to make!